Every few years there comes a science fiction film that mends a variety of cinematic staple elements and pushes the boundaries of what cinema can present to the viewer. Inception is just that. The financial and critical success of The Dark Knight gave Nolan enough momentum to acquire a near-carte-blanche production budget for Inception, an idea that he had been pushing for years. By converging science fiction and heists elements into a cerebral, multi-layered story arc, Christopher Nolan has continued his streak of high-quality films that attracts a mainstream audience. Cobb (Leonardo DiCaprio) is an expert at extraction, the finding of secrets and information inside someone’s dream. So much that he must prove to a potential client his unique talent in an extraction audition in the opening scenes. Cobb and his team featuring Arthur (Joseph Gordon-Levitt) are able to impress Saito (Ken Watanabe), the man whose dreams they had just occupied. Saito hires Cobb and his team to not extract information. But this time to induce inception, the act of planting an idea into ones deep subconscious, enough to provoke them to think of the idea and claim as their own. During dreams, if one is hurt, that person feels the pain in real life. If one dies, they simply wake up. During inception the rules are different, since the addition of sedatives and densely-layered dream states, being killed during inception can launch someone into a mental limbo. One hour in the dream world is the equivalent to five minutes of sleep in the real world. If this mental limbo occurs, one can remain in this limbo for decades upon decades, something Cobb had already experienced. Cobb hires Ariadne (Ellen Page) new architect to create the dreams Cobb plans on entering. During Ariadne’s training with Cobb, she realizes that Cobb has suppressed some deep memories of his dead wife Mal that prevents him from creating the dreams himself. Saito joins Cobb’s team in targeting Robert Fischer (Cillian Murphy) and planting the idea of dismantling his father’s corporate empire to give Saito an advantage. There is no doubt that there are many elements and influences from popular science fiction and heists films of the past decade such as The Matrix, Minority Report and even Oceans 11. Inception is what happens when pivotal films of cinema’s history converge to create a fresh story. From the get go, we are launched into an opening sequence that sets the tone for the rest of the film, the idea that we will always be confused in this film. Majority of this film requires an acute attention as the plot navigates through several layers of cross-cutting to link the multiple realities, non-realities and dream states. This confusion is constant in the film, so much that the totems used by the main characters become excellent devices for both the characters and audience. The performances are decent at best, lines and screen-time is scarce since this film has an extremely fast and rapid pacing, which is obvious in that his film contains an extraordinary amount of content. DiCaprio’s role is similar to Shutter Island, and may be a new era of type-casting for the actor. Joseph Gordon-Levitt also returns some of this previous roles and mannerisms, similar to his starring role in Brick. Ellen Page’s role is adequate, leaning more on just a character in the film to move plot forward. This fast pacing constantly keeps the viewer somewhat disconnected and objective due to the film’s heavy layers. This pacing is necessary in keeping this film from being too long, which it could have suffered from easily. It may also aid creating the dreamlike states that each of us may be used to when we dream. The special effects merge clever fighting sequences with intense visuals that nudge and nod to CGI intensive films such as The Matrix. The film has everything necessary for a summer blockbuster. Car chases, guns, explosions. Some action scenes are a little much, enough to provoke droopy eyes on this reviewer. Only a handful of these action scenes properly push the plot forward and are more a of vehicle to just blow junk up. Sergei Eisenstein and D. W. Griffith would be certainly proud of the cross-cutting and montage. Nolan’s multi-layered dream worlds prompts the editing to cut back-and-forth between, at one point, four different realities. The third act’s editing and construction is masterful and will serve as a modern example of pushing the editing to its supreme power. While Inception is very much an all-around successful film, there are a few small nitpicks on continuity. Early in the film, Cobb is sneaking up behind enemies, shooting them, and covering their mouths to prevent noise. Fair enough. However, Cobb is well-dressed. Tuxedo and all. Through all this noise suppression, you would think that his shoes would create audible footsteps–of course they do not. The dialogue between characters is very rushed, which is obviously necessary since this film is packed with content. Inception is wildly successful, primarily in prompting the want and need to experience multiple viewings. 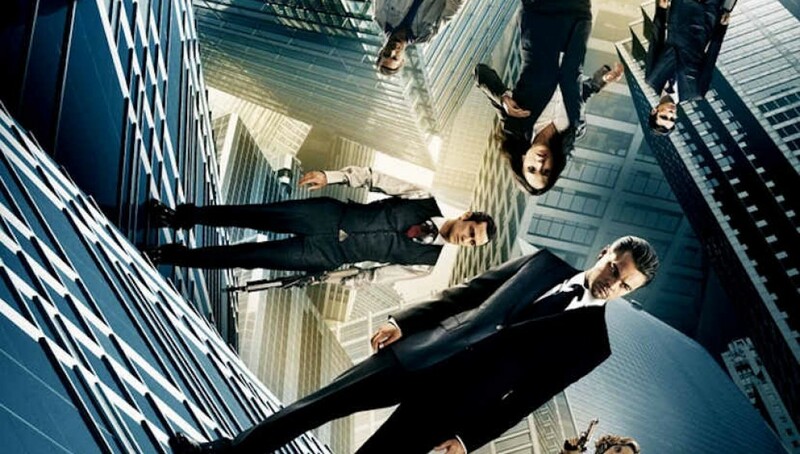 The replay value of Inception will allow the film to remain a staple in American film history and prompt for endless discussions regarding the dense layers and the ending. It is an obvious Best Picture nominee and will certainly be favored by Nolan fans. 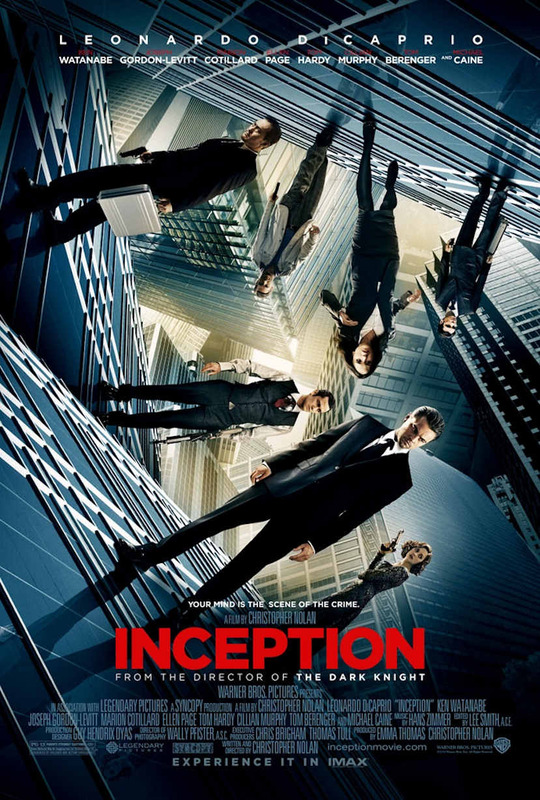 Inception will provoke discussion and has pushed the art of cinema just a little further in a higher direction.